“Let Me Roll It” is about rolling a joint? It’s also a straightforward song lyrically—there are only nine total lines—but it remains one of my favorite vocals from solo McCartney, perhaps because it harkens back to my favorite Beatles era, circa The White Album/Abbey Road. McCartney’s growling vocal, the general chord progression, and doo-wop feel on “Let Me Roll It” sounds so much like those from Abbey Road’s “Oh! Darling,” that he’s been accused more than once of trying to encode the song with messages about his relationship with the other Beatles, particularly John Lennon. 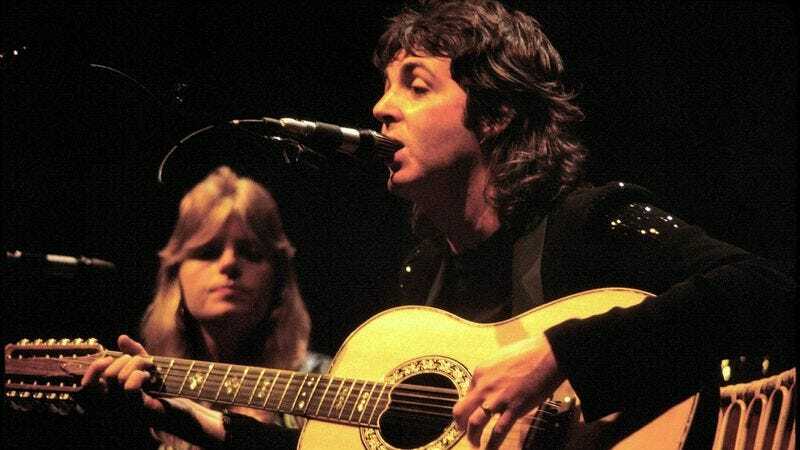 But when he was asked about this album a few years ago, McCartney revealed that although the use of echo could perhaps be tied back to Lennon, the song itself was less a message to his former bandmate than it was an allusion to rolling a joint. In the ’70s McCartney was fond of marijuana, and he had a string of cannabis-related arrests throughout the decade. New revelations about the song and amazing Fiona Apple/Roots cover not withstanding, the original track still gets my vote on the strength of its raw vocal and the unconventional use of the stuttered downbeat that kicks off each verse. Apparently McCartney still digs the song, too, which explains its inclusion in his set list throughout the years since he recorded it.